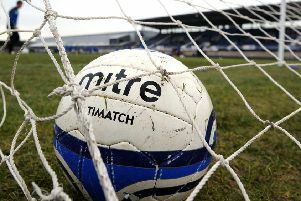 Lothian Thistle manager Raymond Carr was left to rue his team losing the lead three times as they exited the South Challenge Cup at the fifth-round stage to Stirling University. The Capital men went down 5-3 despite being ahead at various points of the game thanks to two goals from Jamie Docherty and a strike from Sean Wringe. “We have a very small squad and with several big players for us out injured suspended or on holiday it was always going to be a tough game for us,” lamented Carr. “However we played some great football taking the lead three times, but Stirling came back again and again. “It’s been a hard season for us losing a lot of key players for us after last season. We don’t have the money to compete with the bigger sides this season and its showing. Elsewhere, Penicuik striker Wayne McIntosh ran riot against Peebles, netting four times in a 5-0 win to reach the third round of the King Cup. Newtongrange were another side to take their place in the King Cup third round with a 3-1 win at Craigroyston. Ali Forster, Sean Jamieson and Dale O’Hara put their names on the score sheet for Nitten, with Mark Smith grabbing a consolation for Craigie. Conference A side Musselburgh ran up a 5-0 win at home to Easthouses with a hat-trick from Nathan Evans and goals from Mathu King and Jackie Myles. In Conference B, Tranent continued their great form with a 6-0 trouncing of Eyemouth. Mark McGovern, Kenny Fisher, Grant Nelson, Ben Miller, Kayne Paterson and Kieron McKenzie all scored.